People counting is an important task in video surveillance applications. It can provide statistic information for shopping centers and other public buildings or knowledge of the current number of people in a building in a case of an emergency. 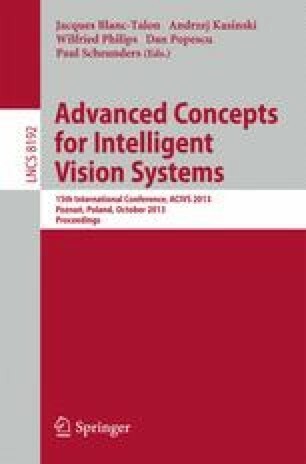 This paper describes a real-time people counting system based on a vertical Kinect depth sensor. Processing pipeline of the system includes depth map improvement, a novel approach to head segmentation, and continuous tracking of head segments. The head segmentation is based on an adaptation of the region-growing segmentation approach with thresholding. The tracking of segments combines minimum-weighted bipartite graph matchings and prediction of object movement to eliminate inaccuracy of segmentation. Results of evaluatation realized on datasets from a shopping center (more than 23 hours of recordings) show that the system can handle almost all real-world situations with high accuracy.